I first started playing tennis at the age of 8 in Cornwall and I have been hooked ever since! As a junior I loved travelling all over the country playing competitively. Some of my best achievements include winning several grade 3 events and playing in the national championships, reaching a UK junior Ranking of 12. I have represented Cornwall from under 10 through to senior level and continue to do so today! At the age of 18 I moved to Louisiana in the United States to play Division 1 Tennis for 4 years, which was a fantastic experience and has helped me a lot since I have began coaching. I still love the challenge of competing and try to get on court as much as I can! I began coaching in 2014 in Cornwall with TDA Tennis, where my role varied between working with Performance Players and being head coach of a club in St Austell, where I worked with people of all ages and playing experience. It was a great experience and I learned a lot. During this time I gained my level 3 coaching qualification. 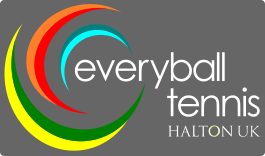 I am very honoured to be given the opportunity to be part of the coaching team at Everyball Tennis. I have a huge passion for tennis and I am extremely excited to share my energy and enthusiasm for the game with everyone in the Everyball programme!